Dogs allowed without extra charge, cats on request. Caution: Do not book in the winter months too short, the house is mainly heated by a fireplace, wood is provided, in addition an electric heater in the living area. The Property Bockelmann lies on a generous Gundstück the Elbe Lateral Canal in a tranquil forest setting. In the house of the landlord, the apartment with private entrance (basement), the house stands separately on the plot. Both accommodations are cozy and fully equipped. Idyll! From here you can take wonderful walks and bike rides. Beautiful terrace with easy barbecue, bike garaging and parking area. SATELLITE TV. Hier kann man sich rundherum wohlfühlen und entspannen. The popular spa town of Bad Bevensen is located in the east of the Lüneburg Heath in the triangle of Hamburg, Bremen and Hanover, only about an hour's drive south of Hamburg. The leading mineral spa in the Lüneburg Heath has high medical expertise that health-conscious holidaymakers appreciate as much as the Jod-Sole-Therme, which is centrally located in the Kurpark Bad Bevensens. With the new spa building, which opened in 2016, Bad Bevensen has a modern event venue that offers cultural highlights throughout the year and is also sought after as a meeting and event venue for external event organizers. The city of Bad Bevensens invites you with individual shops and restaurants to stroll and enjoy and has been awarded several times as a shopping city. Forest and rolling hills, the river Ilmenau and the Elbe-Seiten-Channel characterize the landscape in and around Bad Bevensen, which can be explored on foot, by canoe and by bike. The Hanseatic cities of Lüneburg (25 km) and Uelzen (17 km) and the heath monasteries in Medingen (3 km) and Ebstorf (15 km) are attractive destinations in the surrounding area. The northern Lüneburg Heath around the Wilseder Berg at Bispingen (60 km) and the city of Hitzacker (36 km) on the Elbe in neighboring Wendland are easily reached from Bad Bevensen and famous for their scenic and cultural attractions. By train you can reach Bad Bevensen directly by metronome or ICE CO² neutral, but also traveling by car from the north and south direction is extremely comfortable via the A 7 and the B 4. 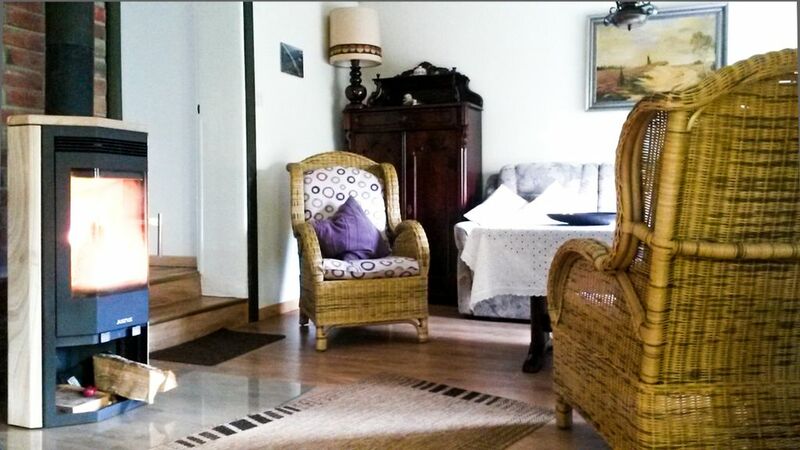 Holiday home and apartment Bockelmann are located in a quiet forest location behind the Elbe side canal. Distances: Jod-Sole-Therme: 2.5 km, center: 3 km, supermarket: 2 km, restaurant: 2 km, railway station: 3.5 km The spa and the iodine-Sole-Therme are about 1500m away. The nearest supermarket and restaurants are about 1500m away.